Hi my name is Sande and I am a mother of 4 amazingly talented and unique children. I enjoy many things in my life and have done many things in my life. I am a 2nd degree Black Belt in Taekwondo, I am involved in my community theatre, I enjoy singing, and I am a pastry chef by trade. I have had a roller coaster of a life and I just try to keep with the twists and turns the best that I can. If you would have asked me when I was in high school if I would have ever started a blog about special diets and sensory diets, I would have probably asked why I would ever need to. Fast forward some multiple years and thanks to my 4 kids and my newfound lack of a gallbladder, I have become very accustomed to what these special diets entail. You see, when I first got started down this path, there were not such readily available dietary options. It was a very much, “Figure it out as we go” kinda diet plan. My twins started me on this journey when they were younger. One of my twins has sensory integration disorder and it causes her to misinterpret signals that her senses are giving her. She always ate from the same color pallet, brown. If it wasn’t a shade of brown, she would not even touch it. On top of that she had a very difficult time with different textures in foods. This caused me much frustration as I knew she was not getting the proper balanced diet that she desperately needed. She also had lactose intolerance and several food allergies on top of that. I approached her pediatrician several times and the only advice we ever got was to give her a nutrition drink and go from there. I really disliked the idea of getting artificial nutrition and started searching for ways to help make the foods that she was comfortable eating, more nutritious for her. A couple years later, my youngest daughter was born. She became my crash course in how to handle severe allergens when you are breastfeeding a child. She suddenly developed a bleeding diaper rash when she was only a couple weeks old. After testing, it was determined that she was allergic to latex, milk, eggs, chicken, gluten, and peanuts. These were all things that i would have to remove from my diet, because everything that i ate was processed into my breast-milk. This would be my first real lesson in how to read dietary labels and check for all possible notations of an allergen. This was also when I learned that latex can be traced in certain foods and people can react to them. Several years later, my son was born. Over time it became apparent that he was autistic, and he was formally diagnosed at the age of 3 with Autism and Sensory Processing Dysfunction. He would begin my process of learning how to create meals for him that would not cause him stress or unneeded discomfort while making sure that they were as nutritious as possible. In May 2018, I managed to have emergency gallbladder surgery. In recovering from my surgery, it became apparent that my diet had changed and I was now intolerant to Dairy, Gluten, Eggs, Citrus, and oils. My world and nutritional plans were turned upside down. I reached out and looked for what seemed to be forever for guidance and help on how to navigate this nutritionally and maintain my health, because I was weak. This is when I really started the head spin from all the different “Free” diets and I knew I was not alone. I like to call these special diets the Color me Sensible diets. You see them advertised in special sections everywhere. They are easily color coordinated in order for the consumer to distinguish between all the difference nuances of the diets. Most commonly there are Gluten-Free, Dairy-Free, Soy-Free, Nut-Free, Allergen-Free, and a few more that all together can make these all so very overwhelming. As a mother of 4, when you have kids that have sensory diet issues there isn’t a color for those. There is no “this feels like sand,” “this is high-pitched,” “this is spicy,” or whatever other sensory overload the item provides sticker. 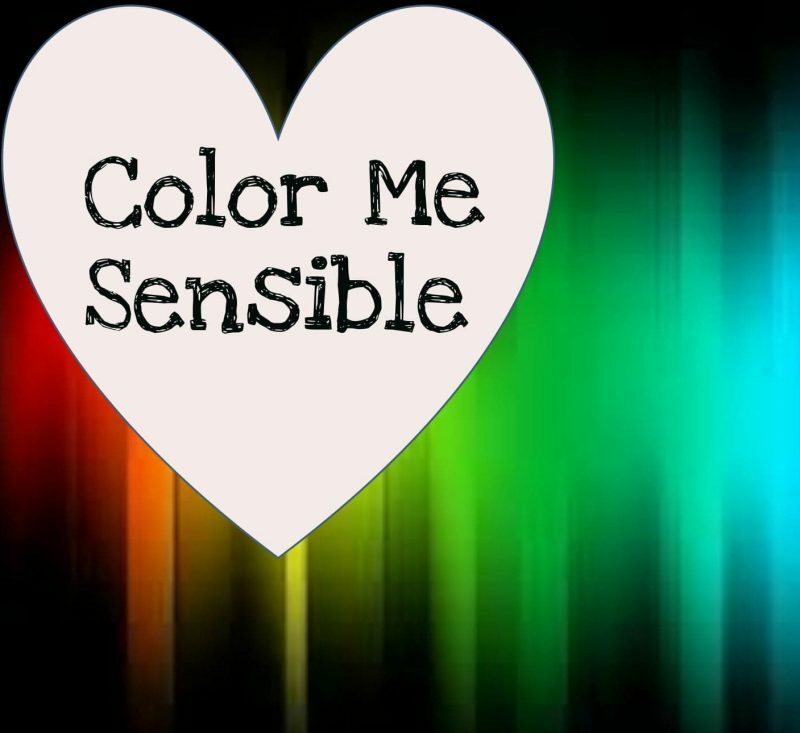 It is my goal and hope to help guide and support people navigating through the Color me Sensible diets. Like I said, it can be overwhelming and I am hoping together we can make it a joyous experience for everyone. There is no reason that you cannot have enjoyable amazing culinary experiences with a sensible diet or even a sensory diet. These diets are created to help you live and enjoy life without having the aggravation of regular foods. Let’s face it, when we eat something that we are sensitive to, it causes us to be uncomfortable and just plain yucky. So let’s come up with some foods that you can eat that are full of nutrition and without all of the stuff you can’t have, foods that you can make your brain go all haywire from over-stimulation, and make sure it is foods that your children and yourself can eat. But most importantly lets make it Delicious & Nutritious!! !